Confusion still feels about this variety of dinosaur. Many people still call it “Brontosaurus”. This confusion originated in 1879, when a paleontologist named Othniel Marsh made a mistake is to pair the head of a Camarasaurus to the Apatosaurus body and gave him the name Brontosaurus. When these errors are known many years later, scientists remove from the list the name Brontosaurus dinosaur, but the name is still known by many people. 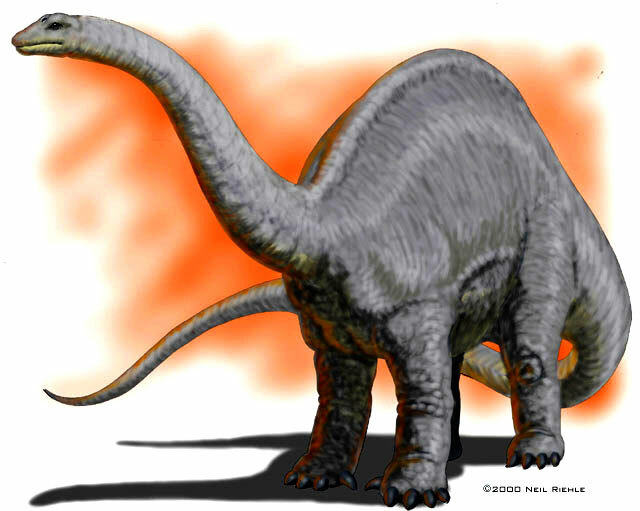 Which makes it even more confusing, Apatosaurus’s body is also similar to his close relative, Diplodocus. Both are big plant-eaters, but more muscular stature to Apatosaurus. His body likes the body of various animals which are connected into a strange animal. 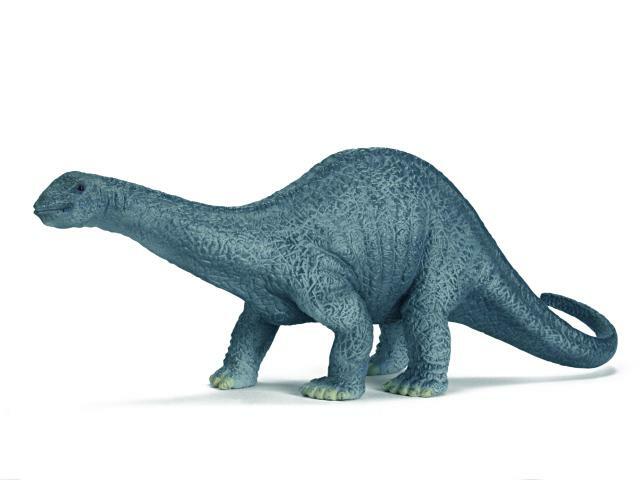 Apatosaurus has a radius similar to elephants. A long tail with 82 dinosaur bones sticking out of the body which can weigh up to 24.6 ton. A small Jaw and the head of Apatosaurus makes the scientists confuses for decades, because it seems impossible for the body to eat with such a small head. Paleontologist shall assume that this dinosaur eat all day. After hours of eating the leaves of various plants that lived at that time, the possibility of direct Apatosaurus soak in water to cool the body and to kill parasites before finally sleeping. Then the next day he went to eat again. For big carnivores like Allosaurus or Tyrannosaurus, Apatosaurus was a sufficient for them to celebrate. Apatosaurus, with his unusually large, could not run fast. Therefore they are likely to congregate with each other to form a herd of Apatosaurus. This large-bodied herbivore instead was able to maintain itself. His long and large tail can be directed to his enemy’s body and can cause serious injury to his attacker. Apatosaurus also had claws on each leg. Maybe this big dinosaur standing with his hind legs and then uses the two front legs to push and step on his opponent and his claws into his opponent’s body.